The competition in today’s business world is so high that company owners have been in constant search for ways, techniques and tools to stay way ahead of the others. And a lot of these companies that were able to turn things around for their businesses have a commonality – having a solid and comprehensive database management system. 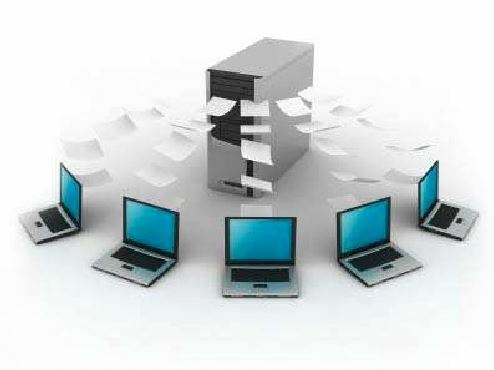 Database management is an effective tool that helps companies and businesses achieve success. The important role played by IT over the years has contributed to innovations developed and designed to analyze and manage data contained in a database. In the past, prior to the introduction of computers, data are contained and stored in folders kept in steel filing cabinets. With the advent of computers and technology, there are numerous incredible tools that can pull all stored data together for a more effective and efficient data management. A well-managed database is key to a company’s seamless operations. With proper database management, a company’s operation is streamlined and simplified. Through available analytic tools, data can be analyzed in terms of sales generation, marketing techniques or customer engagement. By using the right tools, specific reports about the accumulated data or information can help the company in it’s marketing efforts or in increasing the sales productivity, etc. Business owners are aware that collecting customer data or business activity information will not be useful if left un-analyzed in the storage drives. They can only become useful if they are put to use – such as improving business activities. In the past, such data and information are collected manually. And marketing experts have to go through every document to find relevant information that will help them in devising new marketing programs, for example. Now, with a system in place that collects the data or information automatically with every sales activity, analysis for whatever purpose will be a lot easier and results are produced faster. In a retail business for instance, the management process for information collected from various sources (receipts, credit card, application forms, etc.) includes analyzing, sorting and organizing the data so they can be sent to the next working point, say from accounting to marketing. The marketing department will be sent part of the database that specifically includes customers who have been consistently making purchases. The marketing department can then capitalize on such information to use the appropriate marketing tools to promote other products or services. Without the marketing staff sifting through the database, they were able to get the important information they need to boost their marketing efforts. All they needed was the right analytic tool or program that will get them the information they need out of the database. With a good database management system in place, a company will be able to significantly reduce operational costs and find better ways to improve the business’ activities. There is no manpower to pay countless hours of going through piles and piles of documents. This obviously will save labor costs, time and resources for the company. And in the end, it will help improve the business.